100% Original Alfa ARS-N19M 2.4GHz 9dBi Dipole Antenna + Magnet base With Full Original Packaging. Suitable to use for all high power wifi adapter in our store. Compatible with Windows 7, XP, Vista, Mac, Aireplay, Already tested with aireplay injection and it works perfectly! All Our Alfa products order directly from Alfa Taiwan.. So, you get the first hand goods at cheaper price..
To avoid fake products, you can verify the Serial Number / Mac address with alfa networks. http://www.alfa.com.tw. 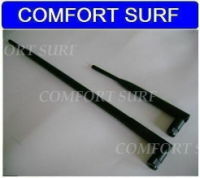 This antenna is actually 9.3dBi and it is stronger than alfa model N19M which is 9dBi. It come with Full Original Packaging.. Make sure you get full original alfa packaging to avoid fake china made antenna. 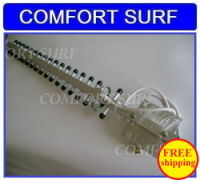 This Antenna help to boost your singal and providing stable wifi internet connection. ARS-N19MBP 2.4GHz 9dBi Antenna Specifications.